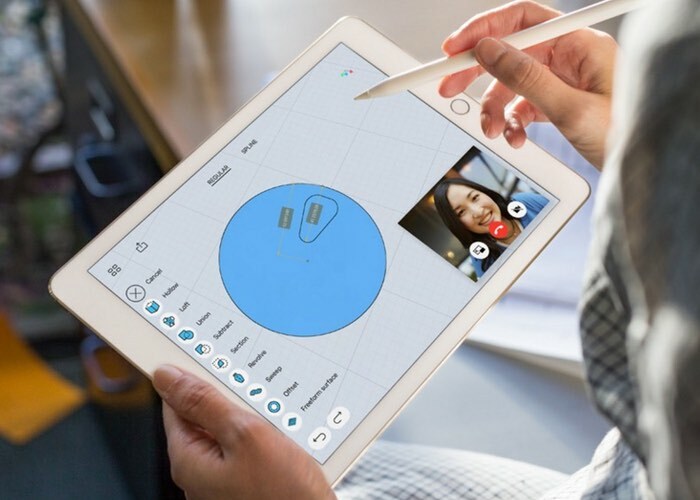 Apple recently introduced their new 9.7 inch iPad Pro and the device is the successor to the iPad Air, although Apple still offers the iPad Air 2. The iPad Air 2 and the new iPad Pro both come with a 9.7 inch display, this is where the similarities end as there are a number of differences between the iPad Air 2 vs iPad Pro. Apple has given their new iPad some significant upgrades in terms of hardware and the device also has a new design like the 12.9 inch iPad Pro. We have compiled a list of the key specifications on the iPad Air 2 vs iPad Pro, these can be seen in the table below for easy reference, this gives you a quick idea of the difference between the iPad Pro and the iPad Air 2, there is also more details information on the difference between the two tablets below. Both the iPad Pro and the iPad Air 2 come with a 9.7 inch retina display, the two tablets have the same resolution of 2048 x 1536 and come with 264 pixels per inch, the new iPad Pro does have some differences which include a True Tone display and a Wide color display, this is Apple’s only tablet that has these new features. Both displays measure 9.7 inches diagonal and they come with a LED backlit Multi-Touch display and a fingerprint resistant oleophobic coating. Apple calls the display in the new iPad Pro an advanced Retina display, it is designed to be 25 percent brighter and 40 percent less reflective than the Air 2. Apple’s iPad Air 2 comes with an Apple A8X processor and the new iPad Pro features the same Apple A9X processor that is available in the 12.9 inch iPad, this should give the new tablet some significant performance improvements over the old one, initial benchmarks have suggested that the iPad Pro brings some impressive performance to Apple’s 9.7 inch iPad. Both tablets are equipped with 2GB of RAM, there are different storage options on each device, the iPad Air 2 comes with a choice of 16GB and 64GB of storage, where as the new iPad Pro has a choice of 32GB, 128GB or 256GB, this is the first of Apple’s tablets to offer 256GB of storage, the company is also now offering the 12.9 inch tablet with 256GB of storage. The iPad Air 2 comes with a 1.2 megapixel front facing FaceTime HD camera and an 8 megapixel rear camera that is capable of recording Full HD video in 1080p at 30 frames per second. The cameras in the new iPad Pro have had a significant upgrade over the iPad Air 2, the front camera is a 5 megapixel FaceTime HD camera, the rear camera is a 12 megapixel iSight camera that comes with Focus Pixels that are designed for fast focusing, there is also advanced noise reduction, Live Photos, 63 megapixel panoramas and the ability to record Ultra HD video in 4K at 30 frames per second. The iPad Pro camera can also record video in slow motion in Full HD 1080p at 120 frames per second and in HD at 720p at 240 frames per second, it comes with cinematic video stabilization and continuous auto focus for videos. Both the iPad Air 2 and the iPad Pro come with a battery that will give you up to 10 hours of surfing the web over WiFi, watching videos and listening to music. There is also support for WiFi and Bluetooth 4.3 on both tablets, plus the Cellular models comes with LTE and the iPad Pro comes with LTE Advanced which offers faster download speed. The new iPad Pro comes with support for the new Apple Pencil and also Apple’s Smart Keyboard, the iPad Air 2 does not support these features. Both tablets shares a similar design, they are both thin and light and measure 6.1mm thick, the WiFi models weigh in at 437 grams and the WiFi and Cellular models are slightly heavier at 444 grams. The iPad Air 2 comes with two speakers and the iPad Pro features 4 speakers like the larger 12.9 inch iPad Pro, both tablets come with a fingerprint sensor and Apple’s Touch ID which allows you to unlock the device and also use Apple Pay to make mobile payments from within the iPad. The iPad Pro comes in a choice of four colors, Silver, Space Gray, Gold and Rose Gold and the iPad Air 2 is available in three colors, Silver, Space Gray and gold. There are significant differences in the price of the two tablets, the iPad Air 2 starts at $399 for the WiFi only 16GB model and $499 for the 64GB model. The cellular versions of the Air 2 are more expensive with the 16GB model costing $529 and the 64GB model costing $629. Pricing for the iPad Pro starts at $599 for the 32GB WiFi only tablet, the 128GB model is $749 and the 256GB model is $899. The cellular 9.7 inch iPad Pro starts at $729 for the 32GB model, the 128GB model costs $879 and the top 256GB model will set you back $1029. 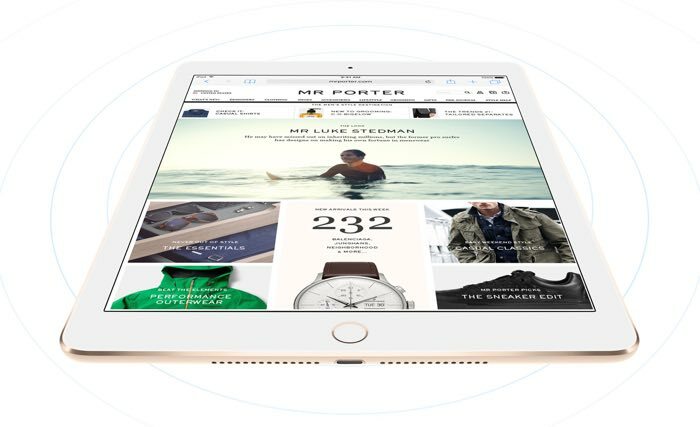 Should You Buy The iPad Air 2 Or The iPad Pro? This is a tricky question to answer and depends on your priorities, if you already have an iPad Air 2 then it could be a difficult choice to upgrade to the new iPad Pro, whilst there are some gains in upgrading. If you want an improved camera and also intend to use the Apple Pencil then the iPad Pro is the tablet to go for, it will also offer improved overall performance over the iPad Air 2. The iPad Air 2 is a very capable tablet and if you are on a budget, then this might be the better option as prices for this tablet start at $200 less than that of the new 9.7 inch Pro. We suspect that the new iPad Pro is going to end up being a popular device for Apple, iPad sales have fallen over the last few years, as have tablet sales in general, so these new iPads could possibly help Apple increase their tablet sales again. You can find out more details about both versions of Apple;s 9.7 inch iPad over at Apple’s website at the links below.